With a flurry of activity always a happening this time of year, we’d like to let you know about the latest news with a couple of the organizations we are partnered with. They are a unique organization that provides communication, human services and education to deaf, hard of hearing and hearing communities with the goal of inclusiveness in Western Michigan. With services that range from interpreters to career development to sign language and lip-reading classes, they have gained a reputation for excellence in the deaf and hard of hearing community. A current promotion assists those who are in need of a smoke detector in their home specifically designed for a deaf or hard of hearing person. If you are in need of one please contact DeafHHS at 616-732-7358 (v/vp) or stop by their office to pick one up. They are working in conjunction with the Grand Rapids Fire Department to help you with the installation if needed at no cost. The Fire Department also had traditional 9-volt smoke detectors available if needed. Recently we had the opportunity to support Gilda’s Club Grand Rapids with a donation made possible by one of our clients. Gilda’s Club offers free cancer support for children, adults, families and friends. With the holiday’s, many members rely on them for help in handling the extra emotional and social demands that this season can bring for support and “normalcy”. Check out their website to learn more about this organization and the many activities they have happening. Our friends at Guiding Light Mission have recently launched their new website that squarely focuses attention on homelessness and the needs of the homeless. They provide “food and shelter while equipping men with social, emotional, spiritual, and intellectual skills, thereby preparing them to serve.” We are proud to be a partner with them and their efforts to strengthen the community as well. 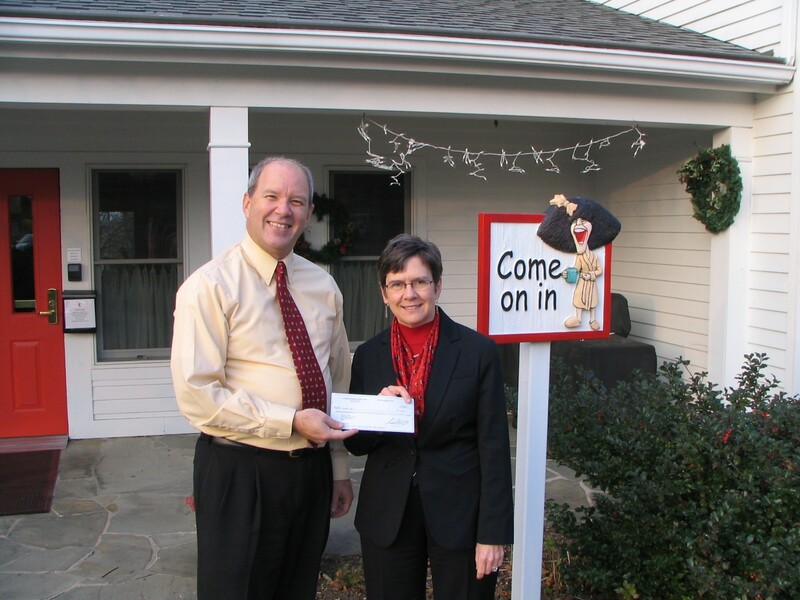 This entry was posted on December 17, 2009 at 10:01 pm and is filed under All Articles, Charity Spotlight. You can follow any responses to this entry through the RSS 2.0 feed. You can leave a response, or trackback from your own site.